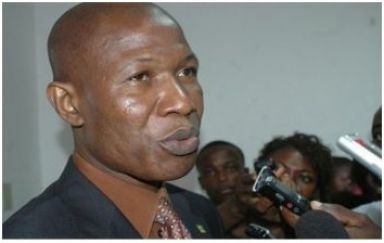 The Patriotic Alliance of Liberia (PAL), a local civil society and prodemocracy group in the country, has blasted members of the 52nd and 53rd Liberian Legislature, for what it called, “ratification of some sixty-six (66) Concession Agreements, which were not in line with best standards and practices. The group wondered why now, those still serving, especially in the House of Representative, are joining their new colleagues in calling for a review of those instruments. In a release issued in Monrovia over the weekend, a copy of which is in the possession of The Insight Newspaper, the group specifically mentioned Lofa and Maryland Counties Representatives Clarence Massaquoi and Bhofal Chambers (now House Speaker), among others, of being part of the processes that brought the questionable investment agreements into existence but, surprisingly, now want them redone. Mr. Jorgbor in an interview with Insight said Lofa County District # 3 Representative Hon. Clarence Massaquoi and other lawmakers who were members of the 53rd National Legislature including House Speaker Bhofal Chambers ratified those agreements that were not fully in compliance, but are now they are calling for the review of all concession agreements and investment incentive. “In the 70s, concessions was granted to concessionaires with the then Liberian Government being entitled to 50% equity, as well as, corresponding share of profits, in accordance with official policies but now, it is the opposite,” the release recalled. According to PAL’s Jorgbor, the Agriculture Sector, especially, the rubber industry, contributed substantially to the Liberian economy in the early 60s. “The rubber industry provided the highest employment and was the second pillar of the Liberian economy, yet is also increase the production of Liberian-owned rubber farms, but today it is on the contrary,” he furthered. It can be recalled, Jorgbor noted, that, concessions output was inelastic to price changes being adjusted to long-term production plans between 1974 and 1977. Accordingly, the rubber concession companies increased their production but, it did not offset the production on Liberian-owned farms, yet Liberian farmers contributed about 30% of domestic production. Also, he observed, Liberia’s forest/timber industry which was the third largest export sector from 1969 through 1976, began the large-scale export revenues for the Government of Liberia in 1968, the number of logging companies steadily increased from two (2) to sixty-one (61) companies from 1967 to 1975. Moreover, according to the PAL’s head, during that past period in the country’s history, government policies were directed towards the general protection of the forest areas, the opening of unexploited regions discovered to contain natural resources, reforestation, the increase in stumpage for logs, higher participation of Liberians in the timber sector, greater export of veneer and other non-utilized secondary species, while increased utilization of the lesser timber species, which were not yet exploited. Therefore, the policy also expresses the desire for the establishment of a local timber industry, especially as far as the processing of round logs to gain added value to the raw material sector, he said. Meanwhile, Jorgbor wants serious emphasis placed on the Forest Management Contract (FMC) and Timber Sale Contract (TSC) holders that are still operating under the Private Use Permits (PUPs), while calling on the Forestry Development Authority to revoke permits or licenses issued to individuals and groups in the past..
PAL Executive Director is pleading on the National Legislature to invite authorities of the National Bureau of Concessions, National Investments Commission, PPCC, FDA, and Government Commission, to provide technical and expertise support, during the process of amending the questionable concession agreements. -Ahead of “2020”, “2023” Political Slugfest	OPPOSITION ‘COLLABO’ AGAIN – Any Lessons Learned?